Heard of the Strengths Cards? Curious to learn about the Strengths Approach? Inspired to use The Bears by a colleague or a friend? 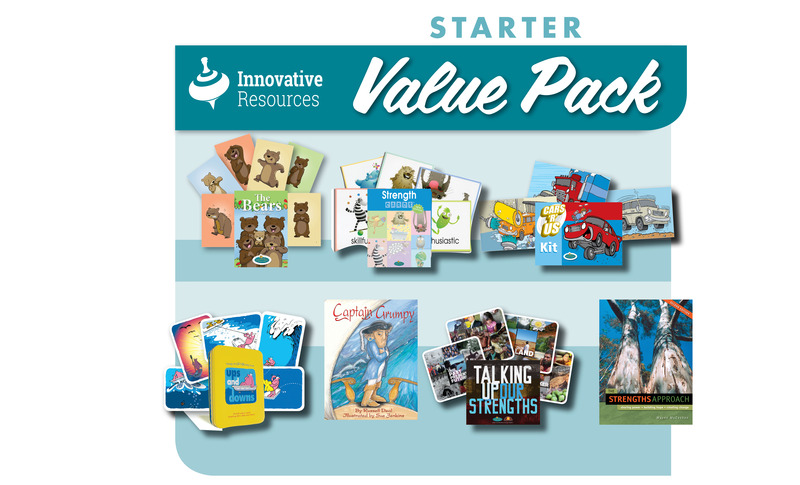 This ‘Starter Pack’ is the perfect place to begin for social workers, counsellors and human service workers discovering our resources for the first time. Explore strengths-based practice with the Strength Cards and Wayne McCashen’s highly respected textbook, The Strengths Approach (expanded second edition), and Russells Deal’s Captain Grumpy. 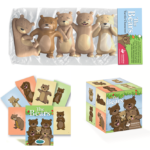 The value pack also contains three popular card sets from the ‘Feelings’ range: our much-loved and versatile The Bears; the poignant, seafaring Ups and Downs, and Cars ‘R’ Us inspired by Choice Theory. 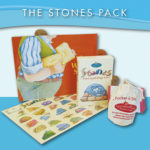 The Starter Pack also includes the Indigenous card set, Talking Up Our Strengths. Use these cards to to promote reconciliation, show pride in cultural diversity and build rich conversations about the strengths in all our communities.